While science has fully documented only a small portion of reef species that occur around our planet, we know that human activities have taken an extensive toll on reef ecosystems worldwide. With our partners, we are planning a new satellite mission for global reef ecosystems, which will advance our ability not only to map reef extent, but also to monitor changes in coral reef health. 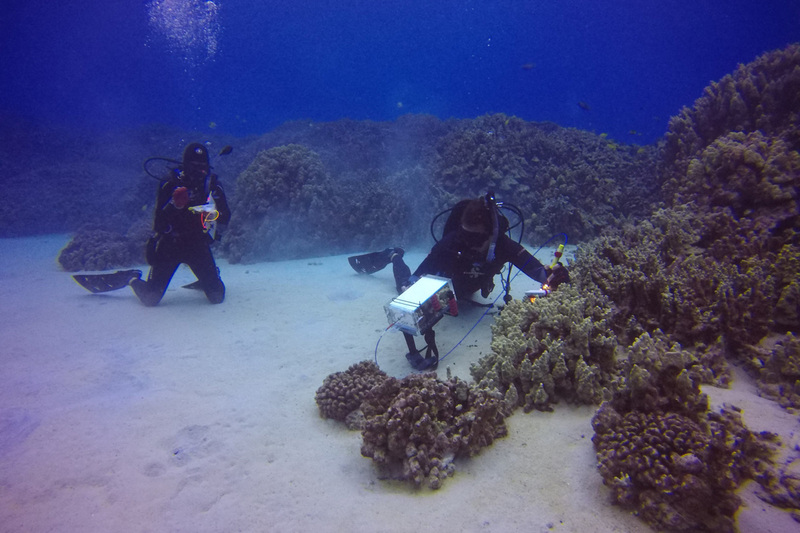 This post is the first in a series that will chronicle field work ongoing for the next year to develop an understanding of reef characteristics that need to be monitored from Earth orbit. 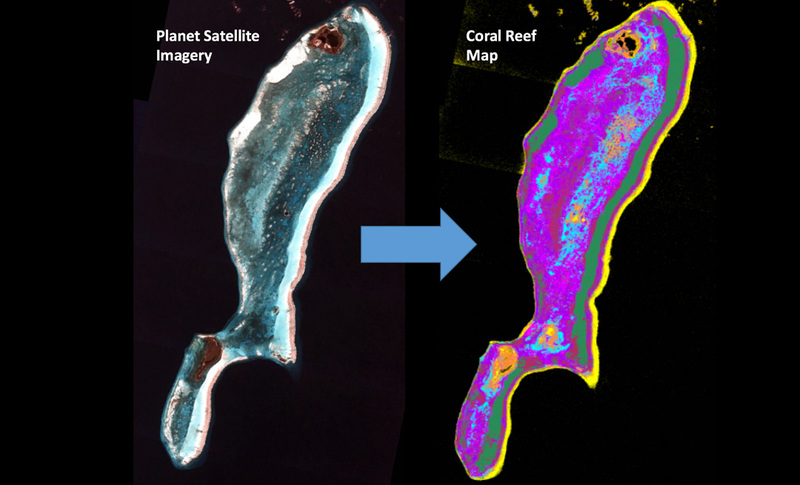 With our partners, we are planning a new satellite mission for global reef ecosystems, a mission that will advance our ability not only to map reef extent, as we can do now with Planet’s current fleet of satellites, but also to monitor changes in coral reef health. 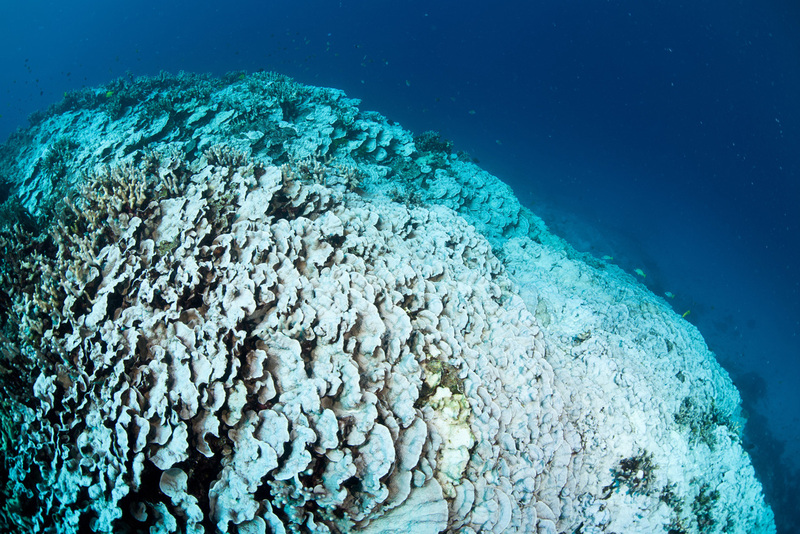 The mission concept centers on global-scale reef monitoring using detailed spectral information, which we and others have advanced from high-flying aircraft. A high-tech approach called imaging spectroscopy measures the spectrum of sunlight scattered and absorbed by an object. These spectral patterns differ based on a given object’s unique chemical signature, and so can be used to assess changes in reef health over time. 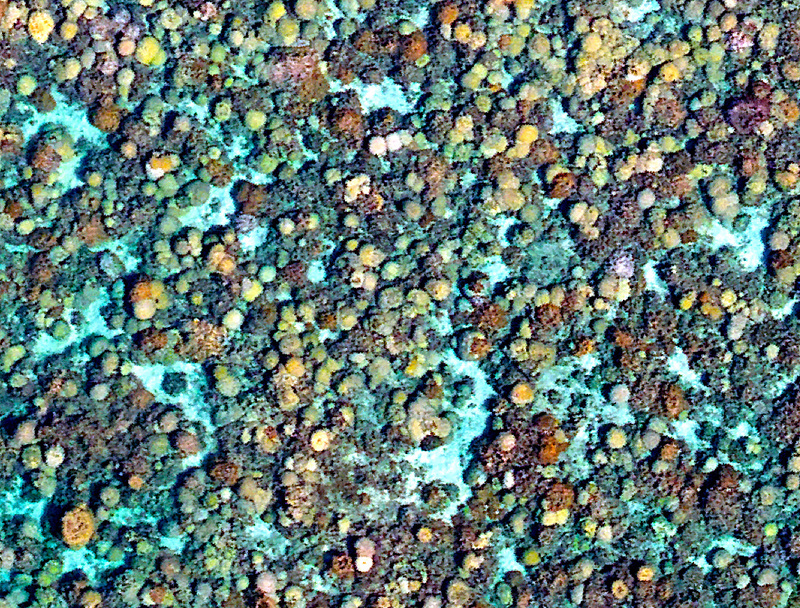 Imaging spectroscopy provides a detailed mapping of coral reefs including some coral species and their health. Photo courtesy of Carnegie Airborne Observatory. To lay the groundwork for a new satellite mission, it is important to develop a baseline understanding of current reef extent, and to pair that information with field-based assessments of reef condition. In addition, improved spectral libraries of corals are required to drive the new satellite design and approach for global monitoring. The Reefscape project aims to improve our understanding of the condition of coral reefs worldwide, while simultaneously developing spectral libraries needed to advance the development of a new satellite mission. 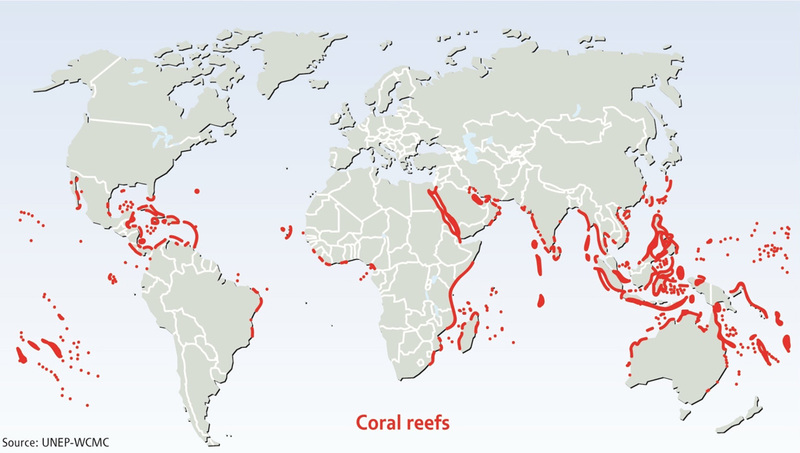 A global-scale field study is a daunting task, and we will need to select regions that maximize our understanding of global reef conditions while collecting the field-based spectral data. Given the magnitude of this undertaking, we and our sponsors decided to take advantage of the unique information and perspectives we will gain in the field and start an outreach component to the project. We are excited to announce a series of articles to be published on Mongabay, and mirrored on the website of our sponsor, the Leonardo DiCaprio Foundation. We hope that our combination of hard-core biology and old-fashioned naturalist reporting will elevate awareness of the state of coral reefs in 2018, as viewed through the lens of spatial ecologists like ourselves. 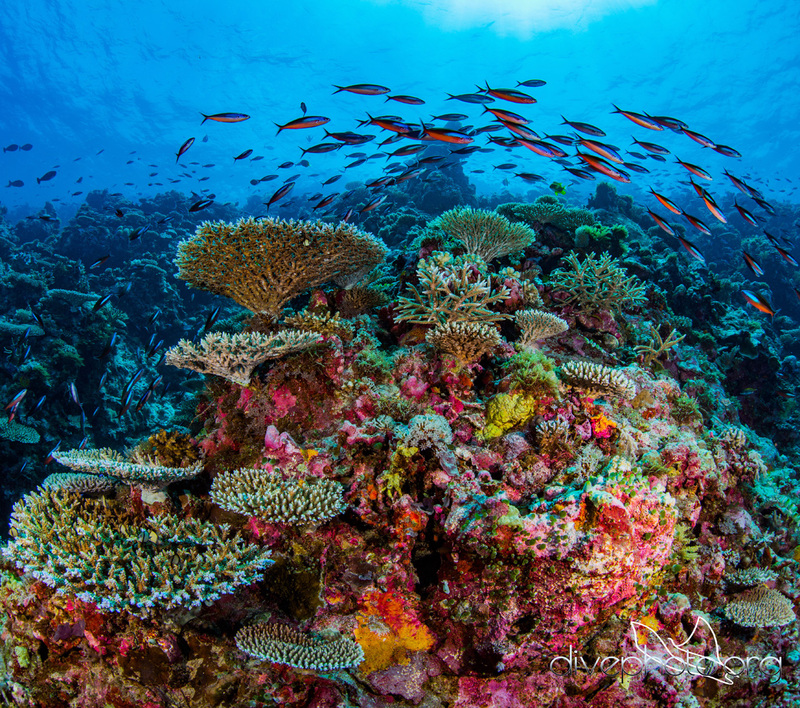 With your help, we can use the Reefscape project to communicate the geography of reef conditions and to get the conservation community prepared for a high-tech satellite mission that will transform how we monitor coral reefs in the next decade and beyond. About the authors: Greg Asner is a spatial ecologist at the Carnegie Institution for Science’s Department of Global Ecology. His scientific interests span the fields of tropical ecology, remote sensing and climate change. Clare LeDuff is a science coordinator at the Carnegie Institution for Science’s Department of Global Ecology. 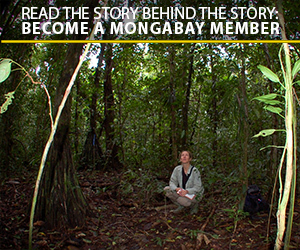 Her areas of focus range from conservation biology to the effects of climate change on agricultural systems.